KATHMANDU, March 25: Prime Minister K P Sharma Oli has said that there cannot be a referendum to decide on the fate of the already ousted institution of monarchy in the country. Addressing the concluding meeting of the winter session of the House of Representatives (HoR) on Sunday, Prime Minister Oli also warned those advocating for monarchy not to make such statements, as Nepal was declared a republic after people shed huge amount of blood. The remarks come at a time when a section of leaders including Nepali Congress (NC) General Secretary Dr Shashank Koirala have said that they are open to go for referendum to settle key contentious issues such as monarchy, federalism and secularism. “There are some people who still want to revive the already ousted monarchy. It was 250 years ago that the Ghales [an ethnic group in Nepal] had understood that no one can be king by birth. One must win even if it is a running competition,” he said, referring to the practice of a running competition, which used to take place annually to determine the king for a year in modern day Gorkha before the founding of kingdom of the Shah dynasty. 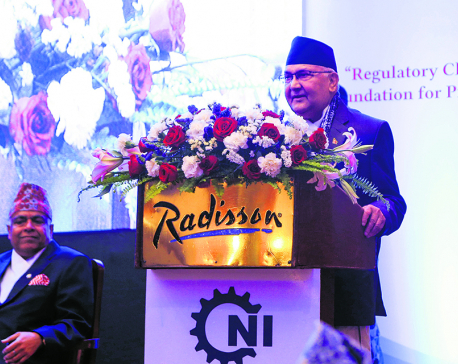 Speaking on the occasion, Prime Minister Oli also said that the government had achieved unprecedented success in curbing corruption and controlling gold smuggling. He argued that the government had achieved success not only in busting the 33-kg gold smuggling racket, but also nabbed others behind similar gold smuggling cases. 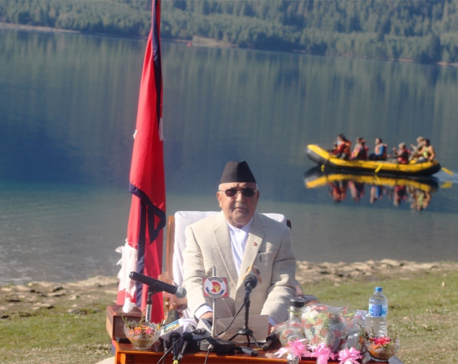 Prime Minister Oli said that the cases of gold smuggling had come down significantly in recent years. “The government is equally working hard to curb corruption. There was a situation where the commissioner of the anti-graft body was forced to resign and flee away,” he further said. On the issue related to the 11-point agreement with CK Raut, who had agreed to renounce secessionist agenda and come to the mainstream politics, Prime Minister Oli said that the government had made a big achievement by bringing him to the mainstream politics.